Helen Allan Professor of nursing, School of Health and Education, Middlesex University, London, England. Mike O'Driscoll Research fellow, School of Health and Education, Middlesex University, London, England. Jan Savage Freelance health researcher, self-employed, England. Gay Lee Palliative care nurse, London, England. Roz Dixon Senior Lecturer, Birkbeck, University of London, London, England. To explore the experience of governing body nurses appointed to clinical commissioning group (CCG) boards; how they perform their responsibilities; and their perceived effectiveness in ensuring safe, patient-centred care and the factors that influence their effectiveness. This was a small pilot study using a mixed methods approach. There were four phases of the study: literature review, qualitative data collection (interviews), quantitative data collection (survey), and final data analysis. In the early stages of the formation of CCGs, few governing body nurses had relevant experience to meet the needs of a strategic role, and many of these nurses had no proper job description, too little time to carry out their responsibilities, little management support, and unequal access to training, development, formal support or supervision compared to GP colleagues. Two working patterns or models of work of governing body nurses emerged: the fulltime integrated executive statutory role and the part-time non-executive statutory role. Quality and quality assurance were the most frequently cited roles or responsibilities of governing body nurses in CCGs, and their highest priority was to improve the population's health. 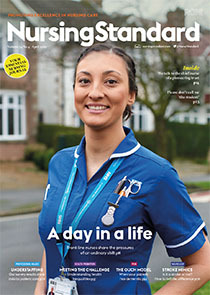 The role of governing body nurse has emerged at a time of organisational change and in a period following extensive criticism of nursing and nurses in the media. Nurses' roles and experiences are affected by these contextual events and by the emerging structures and diversity of CCGs. Further research is required into the leadership role of governing body nurses, succession planning, and the effectiveness of their relationships with other senior nurses. This article has been subject to external double-blind review and has been checked for plagiarism using automated software.